My thoughts are this, and some of you with children may have experienced this with your little angels (LOL) at school. What I want to do is buy a little bear and then send him on his travels to others. I'm calling it a Blogger Bear but PRs and companies who want to get involved are more than welcome. I will send you the bear, you can keep him for a couple of days and show him around, show him what you do and take pictures of him. You can then blog about him if you wish to, but all I ask is you email me some pics that I can use on a blog post. 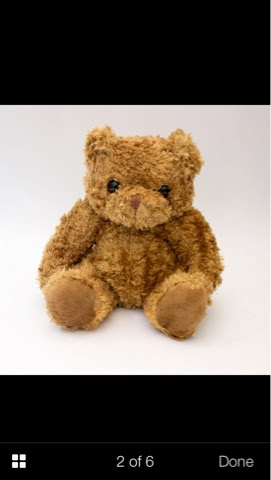 I will include a blogger bear passport, for you to write where he has been, include your website address so that others can visit you and see what you've done with the bear and spread some love. Dang it! If you had done this last year in Nov I could have taken him to Africa to play with some baby caracals!!!! I'm in! I'm an air hostess, I will take him to some special destinations! My boyfriend does similar to this - he has a PG Tips Monkey who goes on holiday with all our friends/family who go on holiday! Hahahaha! Yes, I'm very much in! BloggerBear coming out on an ambulance! Hahahaha! Obviously I'm in! Blogger Bear is coming life saving! I loving love this idea! Please count me in too. This is amazing! :D I'm in! I'd love to be involved too. When I was still teaching, my class took it in turns to take our bear home once a week. I loved reading all their stories. Really strengthened parent and teacher relations too. Love to get to know more Bloggers in this way.